Trust TONE. I use TONE with a double-ended spanner, but I can still trust it. It is safe to use. I wanted to buy it as a set, but this time only the ones with high frequency of use are available. This review is about item#2175887. I replenished it because I lost one of the sets at the work site. It is cheap and I am grateful. This review is about item#2175896. This review is about item#02176151. 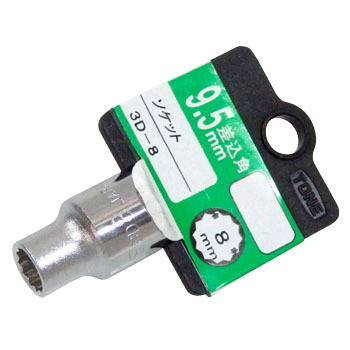 The machining accuracy of the tool is good, and the screw does not hurt. This review is about item#02175896.